A graduate from the Senior Military College of Vermont, Norwich University, Sam Commissioned into the US Army. After commissioning as an Infantry Officer, Sam began his career with Northwestern Mutual, before joining CFG in 2014. 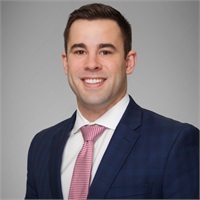 Growing up, and throughout his college career, Sam learned the values of hard work, honor as well as integrity and has transitioned those values to shape his financial practice. Sam chose a career in the financial services industry for a number of different reasons. The first was the ability to create his own business that would have a positive impact on his friends, family as well as community. Secondly, he wanted to be able to provide education that will benefit his clients throughout their lives and empower them to make decisions in areas such as savings, insurance and retirement. Sam specializes in working with military, government contractors as well as doctors and business owners. Currently, he resides in Southern Massachusetts with his fiancé Sarah and their 3 year old son. Outside of CFG, Sam is the executive officer for HHC 3-172IN (MTN) in the Vermont Army National Guard. While at Norwich, Sam was a member of the senior honor committee as well as Captain of the Varsity Baseball Team his Junior and Senior year. Currently, he serves on the Board of Alumni for Norwich University. When not working or volunteering, Sam enjoys golfing, baseball, football, reading and fine whiskey.